Oval Rose Cut Diamond Claw Ring has three rose cut diamonds nestled in a Sorrel Bay classic peak band. These silvery tones of the diamonds are utterly sparkly and eye catching. One of a kind and hand crafted in the UK by Sorrel Bay. 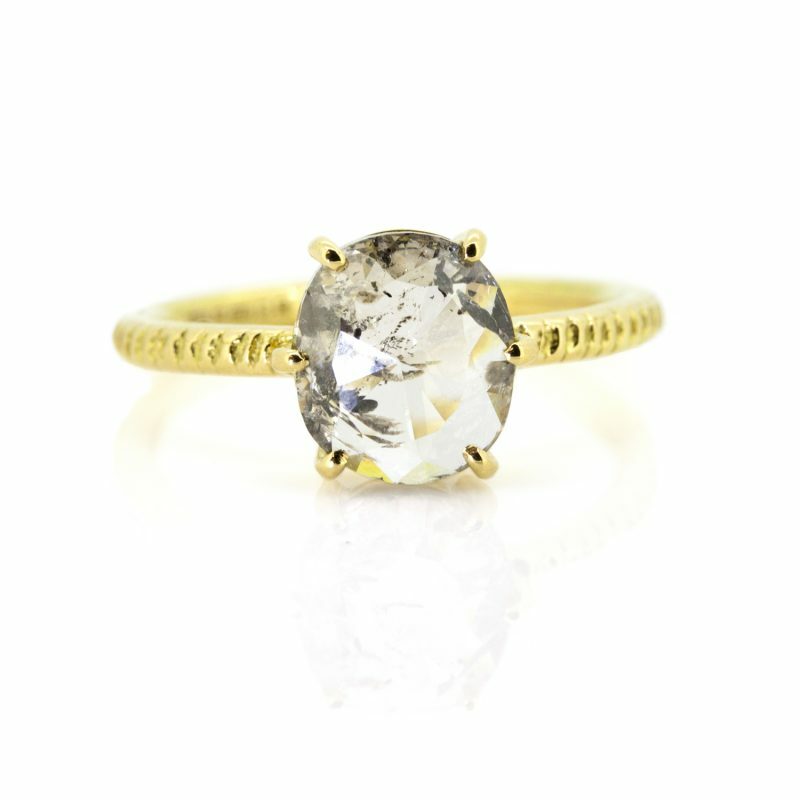 This unique piece is made from 18ct Fair Trade Yellow Gold with 2ct total weight diamonds. Ethical Jewellery Business of the Year Finalist 2019, Sorrel Bay is an Ethical Fine Jewellery brand using fair trade gold, ethically sourced gemstones and some of the finest raw materials the earth has to offer. This unique collection consists of ‘one-of-a-kind’ pieces made from rare and unusual cuts and slices that makes every piece an item to treasure.